Fragrance and beauty fans are spoilt for choice in the winter months. With December fast approaching, all of the industry heavyweights line up their seasonal offerings in time for the Christmas rush. With big launches already in the bag in the way of Gucci Guilty, £35.00, Yves Saint Laurent Belle d’Opium, £39, Givenchy Play for Her, £34.50 and Calvin Klein Beauty, £28.89the season is already well under way. Pace yourselves though, the new releases are still coming thick and fast…. One of the most anticipated releases of 2010 is Naughty Alice, the upcoming scent from queen of controversy Vivienne Westwood. Inspired by a mischievous and sensual young heroine who escapes into an imaginary universe, the whimsical floriental charms with the powdery elegance of Black Rose, Carnal Violet and Ylang-Ylang. “A blend of naughty femininity in a magical universe” – Perfumer Bruno Jovanovic. Another scent that is sure to be a sell-out is the new Lacoste fragrance Joy Of Pink, a bright, youthful scent that bursts with joy. The feel-good fragrance is fronted by model and presenter Alexa Chung, a style icon celebrated on both sides of the Atlantic for her wittiness, creativity and indomitable coolness. The vibrant juice is built around a cocktail of Grapefruit and Blue Curaçao, with sweetly sensual Peony and Musky notes. With a new album under her belt, a starring role opposite Cher in soon-to-be-released film Burlesque, and brand new fragrance Royal Desire launched this month, Christina Aguilera is seriously in demand. Exquisitely luxurious, the fragrance is designed to create a truly sensory experience, with a luminous fruity-oriental juice of Blackcurrant, Yuzu Citrus, Honeysuckle, Rose and Christina’s signature Musk base. Following on from the mindblowing success of the original Harajuku Lovers fragrances and their seasonal flankers, Gwen Stefani unveils her five ‘Wicked Style’ scents. 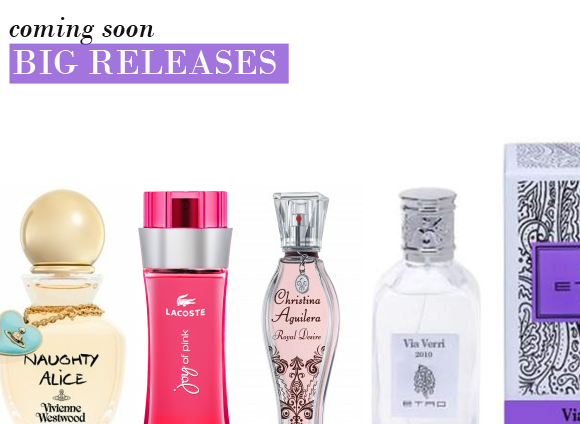 Still represented by Love, Lil’Angel, Music, Baby and G, each scent is given a new fruity twist as composed by five separate fragrance heavyweights. More colourful, more fruity and more Harajuku than ever, each of them has a fresh new look inspired by the Harajuku street style scene. 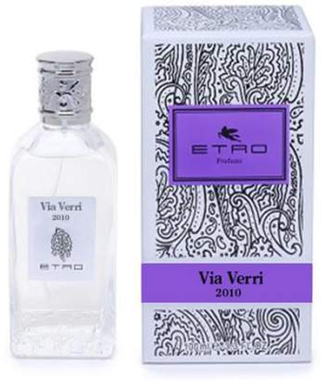 A soft and enveloping scent inspired by the thrill of discovery is the latest offering from prestigous Italian profumi Etro. The limited edition unisex scent scintillates with the elegant seduction of Rose and Jasmine, is deepened by the voluptuousness of Amber and Musk from Eastern lands, and is livened up with hints of Bergamot and precious Iris, whilst the aromatic notes of White Pepper and Cardamom evoke a deep, dark and reverberating forest. Seasonal make-up is a big deal for beauty buffs. Once a year the biggest brands pull out all the stops in the way of limited edition shades, palettes and luxe packaging, all in the name of Christmas party glamour. One of the most impressive offerings this October is the Clarins Barocco collection, a lesson in seasonal opulence all wrapped in in luxurious black and gold. The collection includes a Face Palette to illuminate the complexion, an Eye Colour Trio with shades of black, dark gold-bronze and vibrant gold, a Gold Shimmer Powder for the face and décolleté, and a Rouge Prodige lipstick in shade of the season: plummy red. The Dior Christmas Look is always seriously anticipated. It’s easily one of the most luxurious holiday collections available, with its mix of sumptuous colours and enviable packaging. 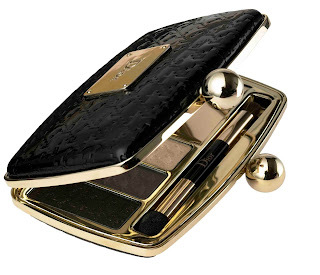 2010’s offering focuses upon Christian Dior’s love of gold, with new editions of the iconic Skinflash and the 5 Couleurs palette available drenched in golden shimmer. Purple also features predominantly, with distinctive plum-hued nail and lip colours making their mark on the collection. This year’s star product is the Minaudiere (pictured), a mini-clutch that is available either for glamorous lips, or for smoky eyes. With its distinctive houndstooth packaging and ultra-portable design, the Minaudiere is a must-have accessory. This entry was posted on Thursday, October 7th, 2010 at 8:46 am and is filed under Fragrance, Make-up, New products. You can follow any responses to this entry through the RSS 2.0 feed. You can skip to the end and leave a response. Pinging is currently not allowed.